DJ Rach Kay Interview - What makes her decks spin? Nonchalant London. So , we’ve been lucky enough to interview the hugely talented, up and coming Bristol based DJ Rach Kay. 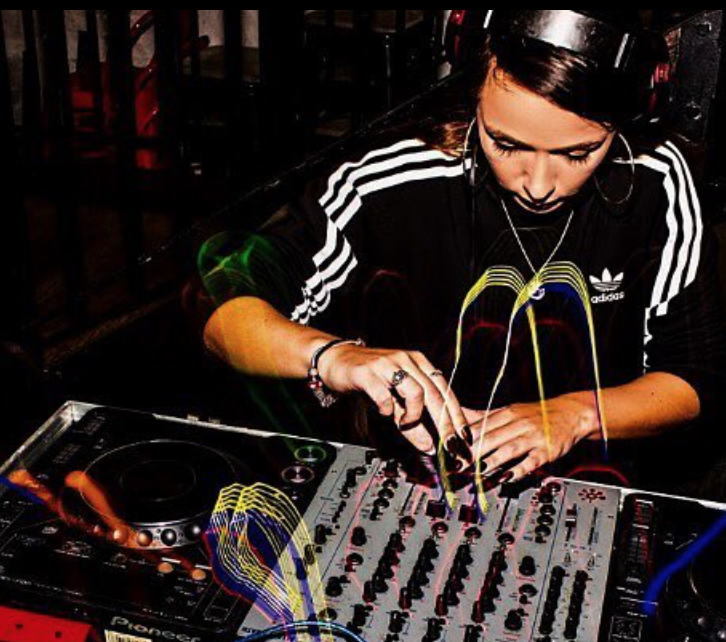 Within a year of DJ-ing Rach became the actual�winner of KISS FM Power Mixers Competition and became a regular name within clubs in and around Bristol. She’s recently hit up some venues in London including Box Park and will be showcasing her talents in The Big Schmoke through out Autumn, so keep your eyes peeled. Now if you really want to ‘set’ the scene, check out one of Rach’s playlist’s here�before kicking back to read the ‘view below. Find Rach on Instagram @DJRachKay. She get’s around, so prepare for Insta envy. 1- So tell us, just when and how does someone get into DJ-ing? Anyone can become a DJ at any time if they put in the practice and have a passion for it. I personally started DJ-ing about a year and a half ago; I used to work in a nightclub at uni and my best friend was the DJ there, I used to just stand and watch him completely�mesmerised by his level of DJing, (I still do now!) so�I pestered him for about a year for lessons until he�finally gave in and agreed to teach me. 2- How would you describe the type of music you mix ? 3- How do you mix it? Do you use vinyl or are we being too 1990 asking that? Haha.. No you’re�definitely not being too 1990- people do use vinyl still. I use CD’s and a mixer, and then my laptop with a DJ software on it- I’d love to learn to play on vinyl’s though! 4- Tell us about your sets in London, whats been happening? A bird tells us you hit up Boxpark? I did indeed. It was sick! I work with some cool guys from London, a brand called XEL club and they invited me along to play.. I swear it was one of the�liveliest crowds I’ve seen so far! They run an event once a month there so I will be doing�that with them again. I am�also working�with a collective called wevibez who are London based and host some sick events�too, as well as DJ’ing for KISS FM at some Saturday Night Kiss events after winning a comp with them. 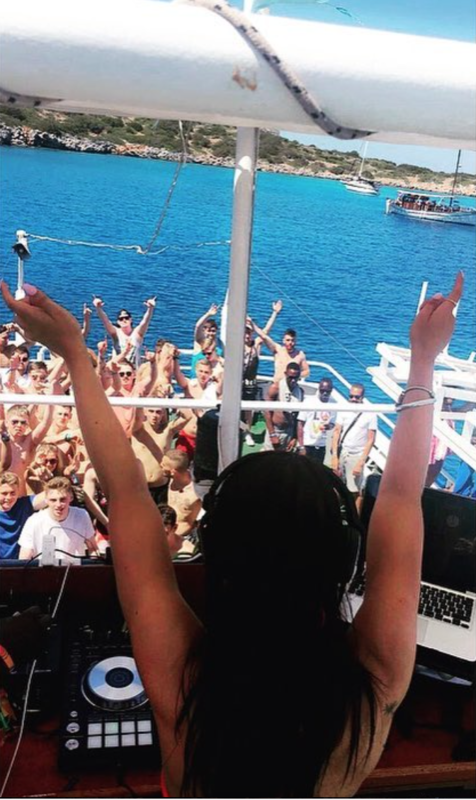 5- We see you’ve DJ’d in some pretty epic places… what went down in Malia? Malia was crazy! I was lucky enough to DJ some sick events.. pool parties and boat parties too. Although the boat party was an 18-30 boat party, and I honestly cannot hack the sesh anymore. It was an amazing experience though. 6- Have you got any plans to move to the big city to grace us with your beats on a regular basis? It has�definitely crossed my mind, I am toying with the idea, although I have a full calendar of DJ sets until 2018 now, so I will probably look into it more the beginning of next year! 7- What’s been the biggest challenge in your DJ career? I work full time, as well as DJing, so I get very tired. Sometimes I struggle with juggling both, as it messes up my sleep, but its all worth it in the end. 8- You seem to have a dedicated fan base… whats the craziest thing a super fan has ever said to you? I don’t think i’ve ever had anything too crazy said to me yet. I am blessed to have a lot of amazing people supporting me though, which I am super grateful for. 9- Just being super nosey… What does the last text in your phone say? Hmm..I think it was from my friend slating some boy, probably best I don’t repeat the words she used! 10- Back to music… What one piece of advice would you give to someone who’s aspiring to get into the DJ scene? Never give up. DJ’ing is tough,�even more so as a female DJ I’d say as there is lots of competition etc, but if you are�truly passionate about music and believe in your craft, you will get there eventually. It isn’t as easy as just�turning up and playing music, and there are always knockdowns and bumps along the way, but if you’re willing to put in the work, you will love the DJ journey in the end. 11- Whats been the best thing in your DJ career so far? I entered a nationwide DJ competition with KISS FM at the beginning of the year, and after being one of the 10 finalists, won it! I found out on my birthday which was amazing, and won 3 DJ sets at KISS events which was amazing. Ummm no I�wouldn’t say I do! I always get nervous though, and someone told me I should jump around for 30 seconds beforehand.. not sure if they were just trying to make me look stupid though. Maybe I will try it?! 13- Whats your drink of choice when DJin? I usually drive when I am DJ’ing, so I will just have a coke or water, maybe a�redbull if I am really tired. If I am drinking though, always a Malibu and coke! 14- When can we see you next in London? I’m dropping by Croydon Boxpark on 29th September, so maybe I’ll see you there? Previous Post Zip Wire Experience. London.